BRAND NEW LEFTOVER 2013 GW250. 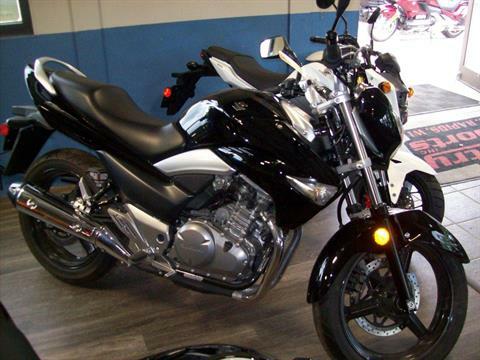 PRICED LIKE USED, BUT WITH A NEW BIKE WARRANTY!!! Introducing the all new Suzuki GW250 - a motorcycle class of its own. When you ponder whether a motorcycle exists with electrifying style and affordability, ponder no more because the GW250 has arrived. It generates lightning fast low-end and mid-range power from its 248 cc, liquid cooled, lightweight, two-cylinder engine. The GW250 not only delivers on power but on comfort and style as well. The striking body provides an aggressive naked appeal to many riders and is sure to break away from the norm. Its semi double-cradle chassis is designed to provide ample support for a variety of riding styles, while securing this naked bike’s more visible and prominent features. Whether you’re traveling in and out of city streets or on the open road, the GW250’s maneuverability and efficient fuel economy is the perfect choice for your daily transportation needs. Strong three-spoke aluminum wheels are wrapped in road-grabbing tires rated to provide sport-style performance through a wide range of road conditions. The GW250 features a bright dual lens tail and brake light that has striking design made from high-quality components. Fitted with clip-on-style handlebars that provide performance appeal and deliver the optimum comfort and control no matter where you ride. Features a digital LCD speedometer, odometer, twin trip meter, clock and fuel gauge readouts, maintenance interval indicator and three-mode rpm indicator (Normal mode, Eco mode and Off) on the right, plus LED indicators on the left. Bold turn signals blended into the brash bodywork make a kingly statement. The contoured seat rises from its slim marriage with the fuel tank to a raised passenger platform. The silver-finished passenger grab bar adds a comfortable hold for tandem rides, and serves up style when riding solo. A semi double-cradle chassis is designed to provide ample support for a variety of riding styles, while humbly securing this naked bike’s more visible and prominent features. Seven-way adjustable spring preload rear suspension action is handled by a mono-shock system that stays hidden from view to amplify the bike’s style, while delivering smooth performance. Telescopic front forks soak up bumps for smooth tracking up front - whether riding rough city streets or faster open roads. Hydraulic disc brakes front and rear provide consistent and controlled braking whether hammering city streets or roaming the open road. 248 cc, liquid cooled, in-line two-cylinder design makes a lightweight and compact powerplant that produces the perfect low- and mid-range punch for powering through urban areas and open roads. A coupling-type balancer shaft fitted to engine’s crankshaft enhances riding comfort. 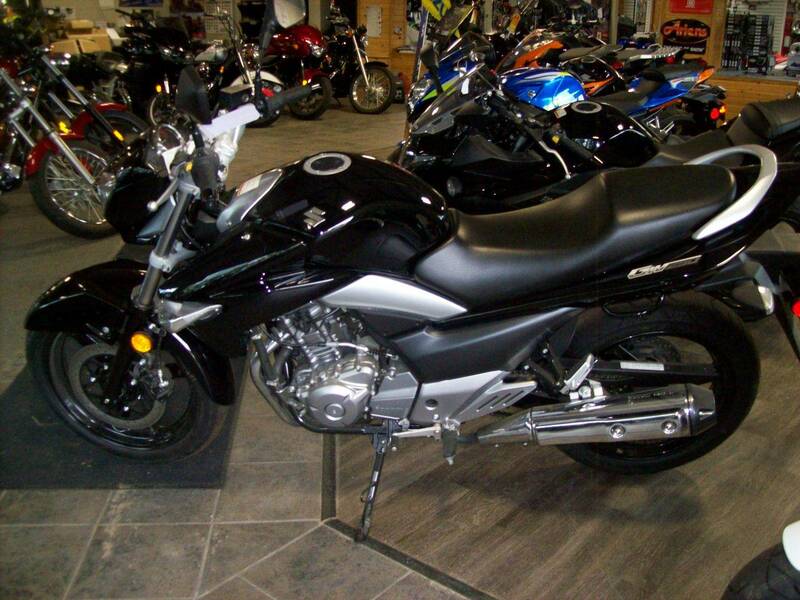 The motorcycle’s fuel-injection system gives the rider precise throttle response while also helping to monitor fuel economy and exhaust emissions. A chromed exhaust muffler that meets strict emission regulations. A six-speed transmission is mated well to the engine design, with the cylinders’ long-stroke design boosting the goal of low- to mid-range power delivery.